This high performance acoustic quilt is a premium acoustic partition roll, manufactured by sandwiching an acoustic barrier membrane between 2 layers of high density 25mm acoustic mineral wool. 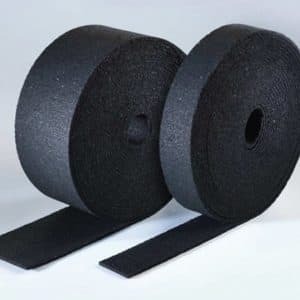 By laminating an acoustic barrier membrane between two layers of acoustic grade mineral wool, the sound reduction performance is boosted significantly. The mineral wool absorbs sound, while the acoustic membrane blocks it. 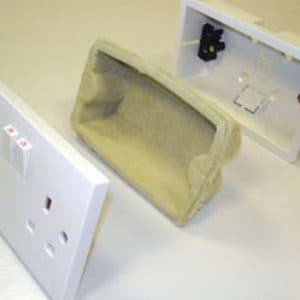 The incorporation of an acoustic membrane gives this premium acoustic quilt up to four times the effectiveness of normal acoustic mineral wool, making it a superb product for reducing and blocking airborne sound. A highly versatile product, it is designed to be suspended and friction fitted between the studs in metal or timber partitioning systems, suspended between the joists of a timber floor or laid over ceilings. Durable odourless, rot proof, non hygroscopic. Does not sustain vermin and will not encourage the growth of fungi, mold or bacteria. 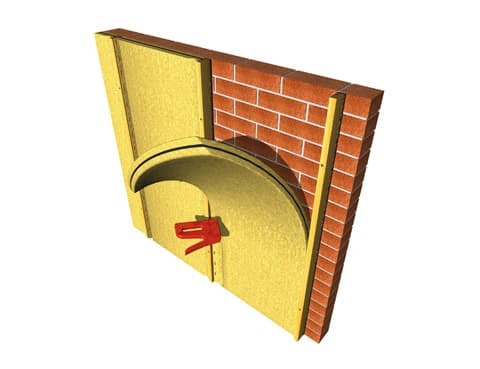 Arrangement of fibres ensures no water penetration in any direction. 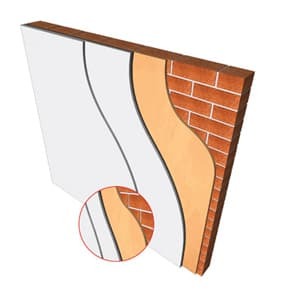 High Performance Acoustic Quilt exceeds Approved Document Part E of the Building Regulations, making it an essential product to control sound in all types of building projects including modern, change of use and conversions. 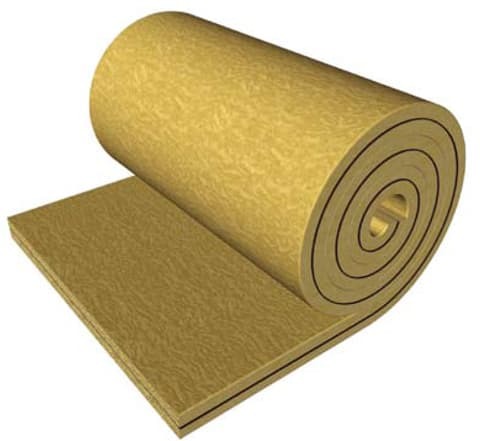 Composition: 2 x non-combustible glass mineral wool layers, defined as mineral wool in BS: 3533: 1981 and manufactured in accordance with BSI Quality Assurance Standard BS EN ISO 9001: 2000. Two layers increases sound absorption and dramatically reduces reverberation. Vapour resistivity: 7.00 MN s.g.m. Cutting the quilt: The quilt can be easily cut to any size/shape using a sharp long bladed knife. The knife should be re-sharpened often to maintain performance. Fixing the quilt: Apply JCW High Performance Acoustic Quilt in a similar way how you would install standard glass fibre insulation rolls except this quilt should be fixed in position by lapping it onto the sides of timber joists or stud framing and secured by heavy duty staples, panel pins or, where they are fitted, cross battens. 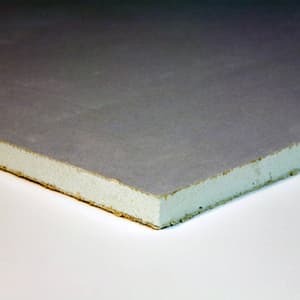 A highly versatile acoustic insulation product, it is also designed to be suspended and friction fitted between the studs in metal or timber partitioning systems, suspended between the joists of a timber floor or laid over ceilings. 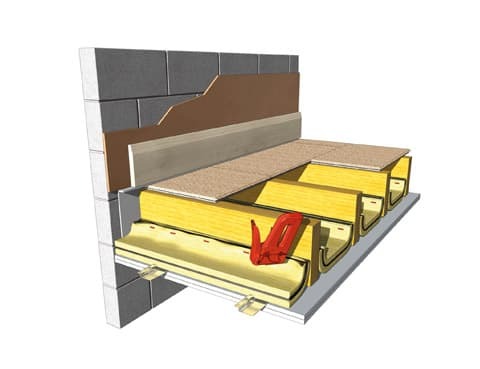 Fitting from above: lift the floorboards and cut insulation to fit between joists.